Winona Kasto hasn't added a story. “I am still at Camp and I will remain here for as long as I can. DAPL is still here so we have to continue to pray and support one another who are staying. I just want to feed the people and our ancestors the proper way. Can you help?" 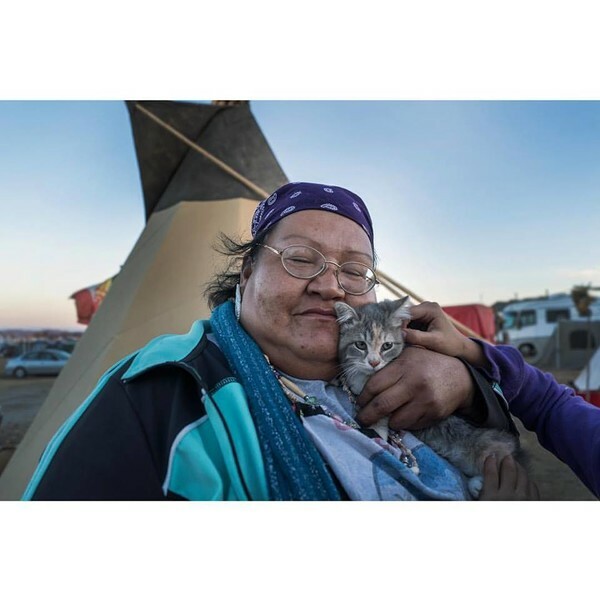 Winona, from the Cheyenne River Sioux Tribe, arrived at Standing Rock’s Oceti Sakowin Camp in August with a pup tent and two pairs of clothes, and has been there ever since. Her kids are now enrolled in the local school in Cannon Ball, and home is a camper parked next to the tents that make up her kitchen. She’s constantly wearing an apron and a smile, and is quick to put everyone around her to work - which people are happy to do, in exchange for the good food she offers freely. “We need help running and heating the kitchen. 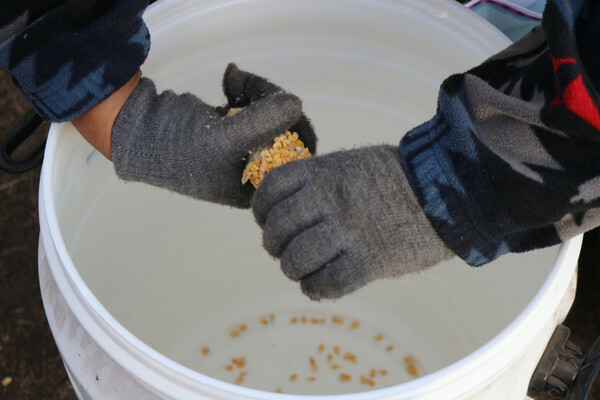 Your donations provide the food, fuel and transportation we use to cook every day. I'm open for winter challenges and we are OK for now, just little adjustments to keeping warm. 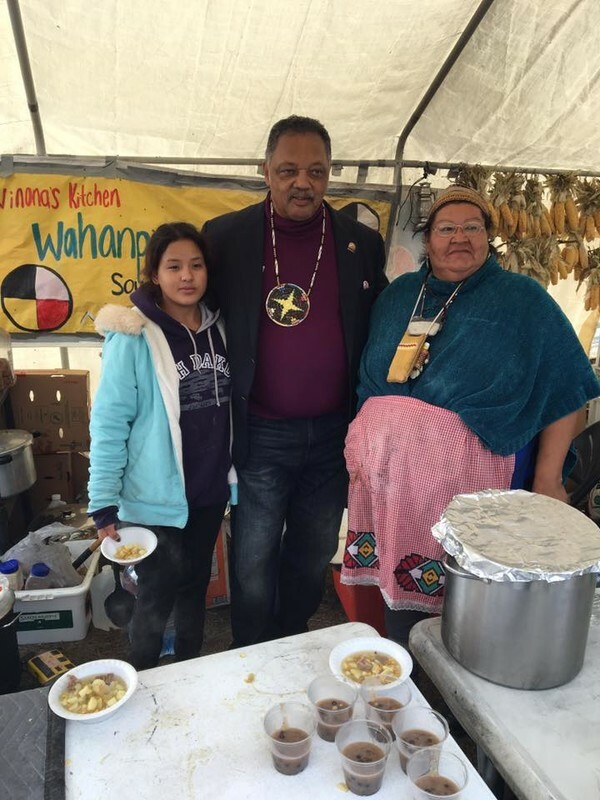 Winona’s kitchen focuses on hearty stews, meat (a top request from Native diners in this North Dakota winter) and other made-from-scratch stick-to-your rib dishes needed to sustain people for the fight, and against the cold. Also known as “Soup Kettle House,” her kitchen relies on tools like a tank-sized smoker and massive kettles perched over woodfires. It took her three days to set it up. 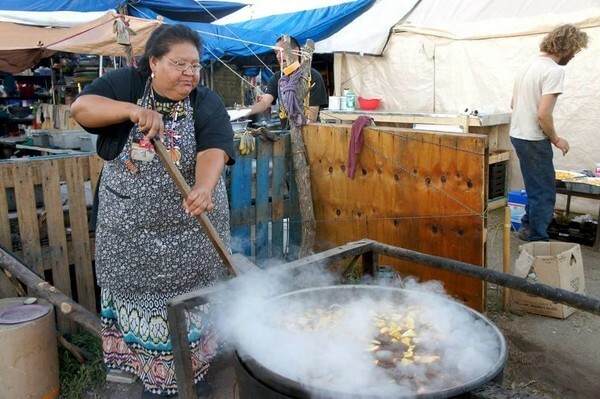 Once she set her mind to it, donations flowed in – everything from pots and pans, to tents and tipis, to food, including corn, deer, elk and bison. It’s been non-stop ever since. 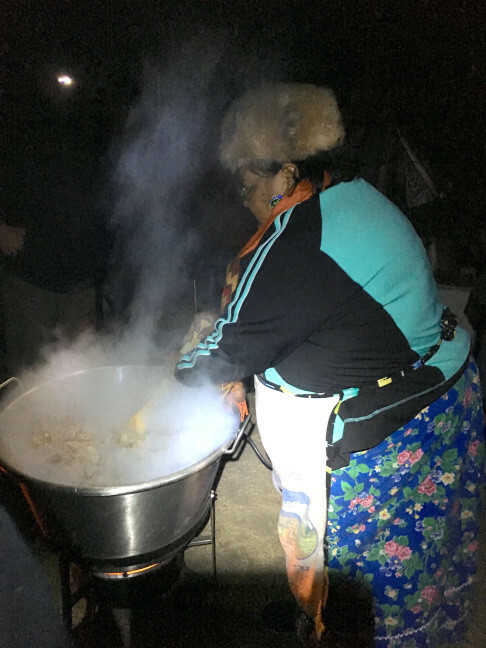 Winona cooked soup until 3am on the icy night of November 20th’s defense at Backwater Bridge, where peaceful protectors were hosed with water cannons. She made sure every cold and wet defender had a hot meal when they made it back to camp. 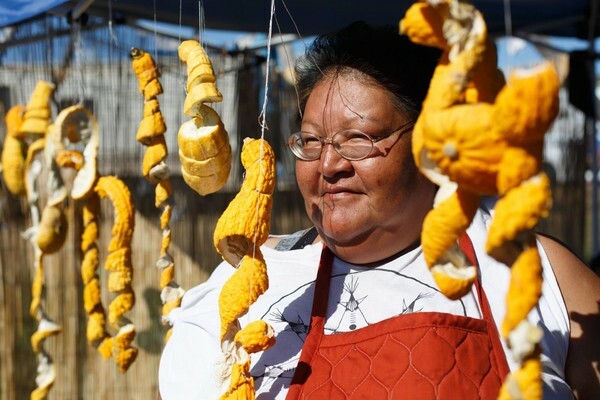 When a bison was butchered, she got the lungs and some other internal organs, and boiled them into soup. Someone rushed in and said they needed hot soup at the front lines. “I packed it up and they ran it out there,” she says. Today, Winona and the Defenders need YOUR help to sustain the camps through winter. Thousands of defenders from more than 130 Indigenous Nations and their allies have come to the camps at Standing Rock since April, to stop the Dakota Access Pipeline (DAPL). The corporations behind DAPL are trying to bulldoze and drill for 1,172 miles from North Dakota to Illinois, to carry half a million barrels of fracked oil a day from the Bakken shale fields across Lakota Treaty Territory at Standing Rock, under Lake Oahe (the community’s drinking water) and under the Missouri River. 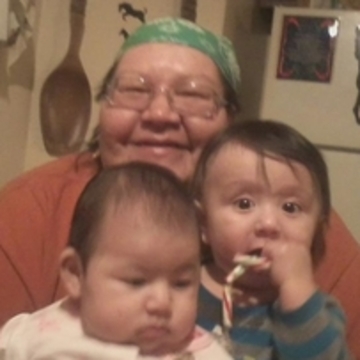 The pipeline is destroying Lakota sacred sites, violating Native sovereignty and treaty agreements, and threatening water contamination at a catastrophic scale (17 million people depend on the Missouri). 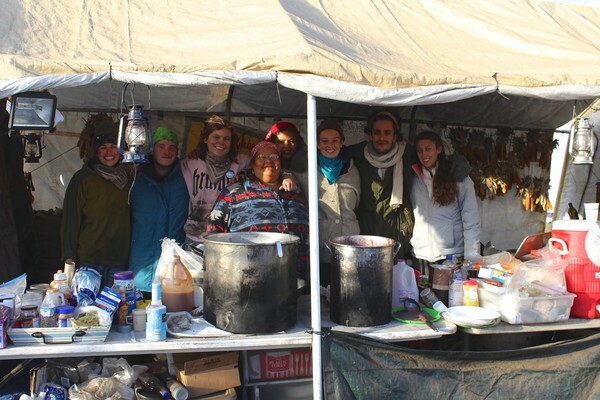 Defenders have gathered peacefully at the camps in the spirit of Mni Wiconi, Water Is Life, to stop DAPL – as the US and the world have watched them endure months of civil rights violations and brutal onslaughts including guard dogs attacking pregnant women, water cannons used at below-freezing temperatures, pepper spray and rubber bullets fired in enclosed spaces, and other violence. That’s why Winona is staying. That’s why the Defenders need your help more now than ever. Their bodies are literally the only things standing between the pipeline and the water. Please share what you can to help Winona keep feeding the courageous, committed people who are camping through the winter to protect water, land, climate and life for us all. Please give :~) And please share this message. >>> Want to get more involved? Winona Kasto hasn't posted any updates yet. Winona Kasto is managing the funds for this campaign. The campaign is for a personal cause.